Cream & sea green silk pattu pavadai for kids. The top has work all over using silver, sea green and gold beads and sequins. 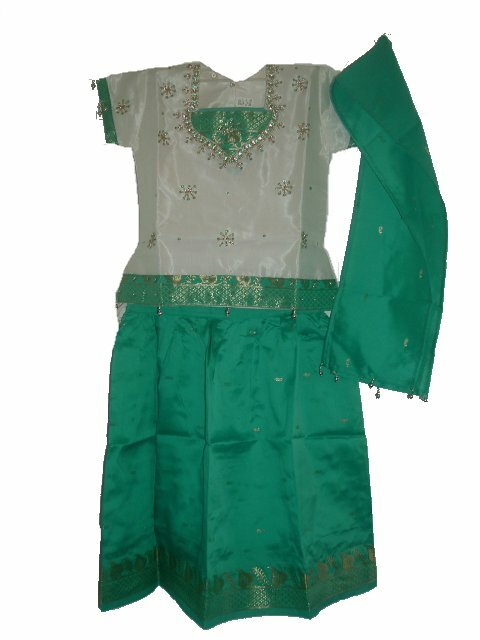 The top (choli) is cream color and has a sea green and gold colored border at the base, sleeves and around the neckline. The skirt is sea green silk with sea green and gold border at the base. It has a drawstring waistband. The outfit comes with a sea green silk dupatta. 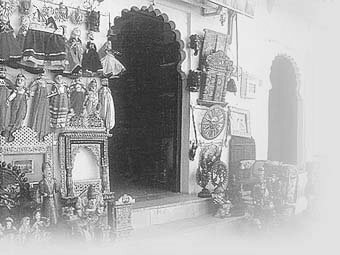 This is a very typical clothing style in Southern India. Sizes available for kids aged 1 year and up.